1. How much shipping will I be charged? We offer flat-rate shipping of $5.99 for all U.S. orders, and $9.99 for international orders. 2. What is the difference between a Wholesale Customer and a Product Consultant? Wholesale Customers order at wholesale prices, receive free shipping on all orders, and participate in the Member Rewards Program (MRP). However, they do not participate in the goDésana income opportunity. 3. I am a Wholesale Customer. I'd like to start selling your products. How do I change my account to a Product Consultant? To change your account status from Wholesale Customer to Product Consultant please submit your request in writing to goDésana 461 E Pike Street Morrow, OH 45152 or via email to changeaccount@MygoDesana.com. 4. I am a Product Consultant. I no longer wish to sell your products but I would like to continue to purchase at wholesale pricing and keep my Member Rewards Program (MRP) percentage level and accumulated points. How do I change my account to a Wholesale Customer? To change your account status from Product Consultant to Wholesale Customer please submit your request in writing to goDésana 461 E Pike Street Morrow, OH 45152 or via email to changeaccount@MygoDesana.com. 5. What is the cost to join as a Wholesale Customer or Product Consultant? There is no cost to open a Wholesale Customer account or to register as a Product Consultant. 6. How do I create a free account? To create a free account complete the form found at either of the links below. Once completed and submitted, your free account will be instantly available and you will receive a welcome email with instructions on how to login to your back office. 7. What is the minimum order amount to maintain my Member Rewards Program (MRP) percentage level and accumulated points? A Wholesale Customer must have 20 BV in product purchases every 31 days to maintain Member Rewards Program (MRP) percentage level and accumulated points. A Product Consultant must have 30 BV in product purchases every 31 days to maintain Member Rewards Program (MRP) percentage level and accumulated points. goDésana guarantees all of our products will meet your standards because they always meet ours! We stand behind all of our products with a no questions asked 365-day refund policy. If you are not 100% satisfied with our products, you may return opened items for a one hundred percent (100%) refund of the purchase price, less shipping, within 30 days of purchase. If you are not 100% satisfied with our products, you may return items purchased within twelve (12) months that remain in resalable condition for a one hundred percent (100%) refund of the purchase price, less the cost of shipping. Products returned more than 30 days after purchase, and not in resalable condition, are refundable as Member Rewards Program (MRP) points only. Products returned by active Product Consultants that are opened or are more than 30 days old, are refundable as Member Rewards Program (MRP) points only, less any commissions and bonuses that have been earned. Product Consultants may return products purchased within the previous 12 months that are in resalable condition if goDesana, LLC or the Product Consultant have terminated their membership agreement. The amount refunded will be the total of the original purchase price of returned product less any commissions and bonuses earned. Reshipment of orders that have been lost, confiscated by Customs, damaged, spoiled, stolen, delayed, redirected, re-routed, or returned will incur the cost to re-ship products and a 30% product loss fee of total shipment, to be charged to the credit card on file before the order is reshipped. 9. What are Share & Tell (SAT) Savings Packs? As a Wholesale Customer or Product Consultant you have the ability to save even more off already-reduced wholesale pricing when your order meets a minimum sales amount. This program is called Share & Tell (SAT) Savings. Share & Tell (SAT) Savings Packs are pre-selected combinations of products customers frequently order together that meet our SAT Savings dollar amounts. These packs are marked as SAT and already have the additional 10%, 20%, or 30% savings reflected in the price of the product pack. You can also select your own combination of products to create a 'Build Your Own SAT Savings' order. When your product order meets the following dollar amounts, you’ll receive additional savings off already-discounted wholesale prices. Every time you add a product to the shopping cart you'll be shown how much additional product you would need to purchase to reach the next SAT Savings level. 10. I have some questions. What is the best way to receive support or contact customer service? goDésana offers several ways for you to receive the support and service that you deserve. You may contact our Customer Care Specialists by phone Monday through Thursday from 9am-5pm EST and Friday from 9am-1pm EST by calling 614.948.4409. We also offer the ability to speak with a Customer Care Specialist online via our Live Chat feature. You may access this feature through your goDésana back office, from the goDésana website (Customer Care Center), or by clicking the link below. In addition to calling or chatting live with our Customer Care Specialists, you may also submit a Support Ticket. During regular business hours, Support Tickets are answered within 24 hours. You may access this feature through your goDésana back office, from the goDésana website (Customer Care Center), or by clicking the link below. Product Consultants who need assistance on how to sell goDésana products should contact the person who referred them to goDésana. You may also contact John Meatte, goDésana's Director of Training, at 520.850-7295. 11. Are your products Certified Organic? No, at this time they are not Certified Organic. While the majority of all ingredients found in goDésana products are Certified Organic when purchased as a raw ingredient, our shipping and warehouse facility does not yet have the organic certification. The USDA Certified Organic program requires that every facility that is involved in the process of a final product from seed to manufacturing, including labeling and packaging, must be independently certified organic to use the term Certified Organic in an ingredient panel, on a website, on printed material, and branding. Our shipping and warehousing facility is in the process of attaining the organic certification. 1. What is the Member Rewards Program (MRP)? The goDésana Member Rewards Program (MRP) rewards you for consistently purchasing your favorite goDésana products. Instantly qualify to start earning product points with every order that can be used like cash to purchase additional products at no cost. Receive Member Rewards Program (MRP) points on every purchase including your initial order. Consistent ordering increases the percentage of points earned. Points accrue from every personal order and can be used to receive free products. A Wholesale Customer must have $20 BV in product purchases every 31 days to maintain Member Rewards Program (MRP) percentage level and accumulated points. A Product Consultant must have $30 BV in product purchases every 31 days to maintain Member Rewards Program (MRP) percentage level and accumulated points. 2. Where can I find my Member Rewards Program (MRP) balance? You may view your Member Rewards Program (MRP) balance while logged into your goDésana back office. Click the link found on the left-hand side titled "MRP Shopping $$ Balance". 3. How do I redeem my Member Rewards Program (MRP) points? 4. Can I use my Member Rewards Program (MRP) point balance as part of a split payment? Unfortunately, your Member Rewards Program (MRP) point balance cannot be used as part of a split payment. 5. I lost my Member Rewards Program (MRP) point balance when my account went inactive as a result of my credit card being declined. Is it possible to get my points reinstated? As a one-time courtesy, your Member Rewards Program (MRP) point balance and rewards percentage level can be reinstated when you place a new order and have it back-dated to your original order date. You will need to contact a Customer Care Specialist at 614.948.4409 to have this done. 6. I tried to order a Share & Tell Savings Pack and did not have the option to pay with my Member Rewards Program (MRP) point balance. Can the Share & Tell Savings Pack be ordered with my Member Rewards Program (MRP) point balance? Unfortunately, your Member Rewards Program (MRP) point balance cannot be used to purchase a Share & Tell Savings Pack. 7. Do I need an autoship or Auto-Delivery order on file to earn Member Rewards Program (MRP) points? No, you do not need to have an Auto-Delivery order on file to earn Member Rewards Program (MRP) points. However, you do receive an additional 5% in Member Rewards Program (MRP) points on Auto-Delivery orders. 1. Does goDésana have an in-house Aromatherapist who sources and formulates your Essential Oils? Alexandria Brighton is an Aromatherapy formulator, educator, and owner of the Brighton Institute of Botanical Studies who has over 25 years of experience in the Aromatherapy world. Alexandria began her career as an herbalist in the late 1970's and added Aromatherapy in the mid-eighties. Alexandria's deeply intuitive nature, spiritual wisdom, and ability to effectively share information set her apart as a cutting-edge formulator and inspiring instructor. Early on she discovered she had a particular talent for the formulation of synergistic blends for medicinal, emotional, and energetic healing. She is recognized internationally for both her Essential Oil and Herbal blends as well as her standard of quality. 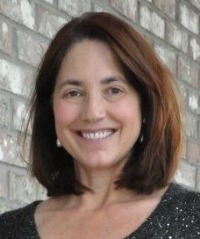 Alexandria Brighton was the ex-wife of Gary Young and co-founder of Young Living as well as their original Master Formulator. All of her blends are now available exclusively only at goDésana. You can be one hundred percent (100%) sure that Alexandria's formulas are only available here because she has never released them to anyone but goDésana. Regardless of who or what company she previously formulated for, only Alexandria and the laboratory where the products are manufactured had the actual formulas. When Alexandria separated from a company due to quality and ethical reasons, all of her formulas went with her as only she and the lab had access to them. In addition to taking care that no other company had possession of any of her actual formulas, a number coding system has always been implemented with the manufacturer so that even they did not know which formulas were which specific blends. In March of 2015, based upon an unconditional belief and trust in the owner and management of goDésana, Alexandria Brighton entered into an agreement where for the first time in history the exact formulas were shared with goDésana. 2. What are the Reasonable Cautions you recommend when using Essential Oils? If you or a member of your family becomes ill do not diagnose or treat yourself, get proper medical treatment from a qualified health care provider. Then, you may proceed with complimentary aromatherapy to help you or your family member. Remember, aromatherapy is not to be used to replace proper medical care. The suggestions in this information are for general use if you are undecided as to which Essential Oil to use, consult a qualified aromatherapist who will help guide you in the right direction. Essential Oils are very powerful and highly concentrated and should only be used in very small amounts. Before using an Essential Oil, become familiar with its properties, method of application, toxicity, precautions, and contraindications, these will be found on the info sheet for each single oil or blend. 3. Why Do Plants Make Essential Oils? 4. I just started hearing about Essential Oils. Are they something new? No, Essential Oils are not new. 1. Do you have conference calls available to attend to learn more about the company? Yes, each week we offer two free conference calls you can attend live or listen to as an archive in our Resource Center. Please join John Meatte, Director of Training, each Monday at 9pm EST. Dial 218.895.9285, and enter pin 640165#. John shares informative and motivational ways that you can 'get out of your own way' and achieve the life you want. On Wednesday nights, you can join our exclusive purveyor and formulator, Alexandria Brighton, for what promises to be the most extensive and knowledgable training available on herbs and Essential Oils. Dial 218.895.9285, and enter pin 640165#. 1. How do I enroll a new Wholesale Customer or Product Consultant? There are two ways to personally enroll a new Wholesale Customer or Product Consultant. You can send your free personalized website to your new Wholesale Customer or Product Consultant. Have them click on the Get Started link found at the top right of the website. They can then choose to get started as a Wholesale Customer or Product Consultant. You can also enroll them yourself using the links found in your back office. While logged-in to your back office, choose either the Enroll Wholesale Customer or Enroll Product Consultant link. Both of these links can be found at the top right of your back office. Note: When logging out of your back office please do not close your browser by clicking on the x. Instead, please log out by clicking on the logout button found at the top far right of your back office. 2. Is it possible to open an account without an order? Yes, you can open an account without placing an order. 3. Can I create a free Product Consultant account and then personally enroll other Product Consultants and qualify to earn commissions and bonuses without placing an order personally? Yes, you can enroll as a Product Consultant without purchasing products or paying a registration, enrollment, or member fee. It is always free to open a Wholesale Customer or Product Consultant account. After your free account is created it will be listed as an active account until the next system update (usually within 12 hours). However, although the account would remain active until the next system update, to qualify for commissions and bonuses all Product Consultants must meet minimum Qualifying Business Volume (QBV) totals ranging from $00.00 - $160.00. Qualifying Business Volume (QBV) is the combined total of all personal purchases, retail purchases including sales made by guests at live or virtual parties, and the purchases made by personally enrolled Wholesale Customers. For Example: After your free account is created it will be listed as an active account until the next system update. If when the system does an update, your account has Qualifying Business Volume (QBV) from 1. Personal purchases. 2. Retail purchases made from your free goDésana website or retail purchases made at live and virtual party events. 3. Purchases made by personally enrolled Wholesale Customers. Your account would then be updated active and reflect the appropriate rank. Note: An account without Qualifying Business Volume (QVB) would be qualified to earn commissions on retail orders. Listed below is the amount of Qualifying Business Volume (QBV) that is needed to qualify for the different types of goDésana commissions and bonuses. 1) Personal Sales Bonus (PSB) Coming Soon: This is earned on all retail purchases made from your free website(s) and at scheduled live and virtual party events. * The Qualifying Business Volume (QBV) total needed to earn Personal Sales Bonus (PSB): $00.00. You earn Personal Sales Bonus (PSB) on all retail purchases without Qualifying Business Volume (QBV) or any other qualifiers. Note Worth Repeating: Once our system updates, usually within 12 hours, the Qualifying Business Volume (QBV) of all retail order(s) placed would then count towards the Qualifying Business Volume (QBV) needed to rank qualify as well as being qualified to earn additional commissions and bonuses. 2) Fast Start Bonuses (FSB): There are two types of Fast Start Bonuses (FSB) you can qualify to earn. Customer Acquisition Bonus (CAB) is paid on all orders of $219.00 or less placed by Wholesale Customers and Product Consultants in your enrollment tree. The Qualifying Business Volume (QBV) total needed to earn the Customer Acquisition Bonus (CAB): $30.00 - $80.00. Share & Tell (SAT) bonuses is paid on all orders of $220.00 or more placed by Wholesale Customers and Product Consultants in your enrollment tree. The Qualifying Business Volume (QBV) total needed to earn the Share & Tell (SAT) bonus: $160.00. 3) Unilevel Organization Commission: The Unilevel Organization Commission is earned on all Retail, Wholesale, and Product Consultant orders placed in your organization, up to sevel levels deep. The Qualifying Business Volume (QBV) total needed to earn the Unilevel Organization Commission: $30.00 - $80.00. 4) Check Match: The Check Match bonus is earned on all Jasperand above Product Consultants in your enrollment tree, up to three generations deep. The Qualifying Business Volume (QBV) total needed to earn the Check Match Bonus: $80.00. 5) Growth Bonus Coming Soon: Amberand above Product Consultants can qualify to earn a guaranteed 2% to 10% of their total Unilevel Organization Volume. The Qualifying Business Volume (QBV) total needed to earn the Growth Bonus: $80.00. 6) Diamond Car Bonus: Diamondand above Product Consultants can qualify to earn a $400.00 - $800.00 Car Bonus. The Qualifying Business Volume (QBV) total needed to earn the Car Bonus: $80.00. 4. What are the qualifiers for earning bonuses, commissions, and for rank advancement? As you build your goDésana business there are multiple ranks that you can achieve. At each rank, you are qualified to earn additional commissions and bonuses. Wholesale Customer: $20.00 personal purchase within the previous 31 days. Wholesale Customers do not participate in the goDésana income opportunity. They receive Member Rewards Program (MRP) points and free shipping on all orders. Product Consultant: $30.00 Qualifying Business Volume (QBV) in previous 31 days. Qualified to earn Personal Sales Bonus (PSB), 1st Generation Customer Acquisition Bonus (CAB), 4 levels of Unilevel Organization Commissions. Silver Product Consultant: $50.00 Qualifying Business Volume (QBV) in previous 31 days. Qualified to earn Personal Sales Bonus (PSB), 1st Generation Customer Acquisition Bonus (CAB), 5 levels of Unilevel Organization Commissions. Gold Product Consultant: $80.00 Qualifying Business Volume (QBV) in previous 31 days. Qualified to earn Personal Sales Bonus (PSB), 1st Generation Customer Acquisition Bonus (CAB), 7 levels of Unilevel Organization Commissions. Jasper Product Consultant: $80.00 Qualifying Business Volume (QBV) in previous 31 days, 2 Personally Enrolled active Wholesale Customers and/or Product Consultants. Qualified to earn Personal Sales Bonus (PSB), Customer Acquisition Bonus (CAB) through 3 Generations, 7 levels of Unilevel Organization Commissions, Check Match through 3 Generations. Amber Product Consultant: $80.00 Qualifying Business Volume (QBV) in previous 31 days, 4 Personally Enrolled active Wholesale Customers and/or Product Consultants, $1,200.00 Unilevel Organization Volume with no more than 50% coming from one leg. Qualified to earn Personal Sales Bonus (PSB), Customer Acquisition Bonus (CAB) through 3 Generations, 7 levels of Unilevel Organization Commissions, Check Match through 3 Generations, Growth Bonus. Ruby Product Consultant: $80.00 Qualifying Business Volume (QBV) in previous 31 days, 6 Personally Enrolled active Wholesale Customers and/or Product Consultants, $2,400.00 Unilevel Organization Volume with no more than 50% coming from one leg. Qualified to earn Personal Sales Bonus (PSB), Customer Acquisition Bonus (CAB) through 3 Generations, 7 levels of Unilevel Organization Commissions, Check Match through 3 Generations, Growth Bonus. Emerald Product Consultant: $80.00 Qualifying Business Volume (QBV) in previous 31 days, 12 Personally Enrolled active Wholesale Customers and/or Product Consultants, $5,000.00 Unilevel Organization Volume with no more than 50% coming from one leg. Qualified to earn Personal Sales Bonus (PSB), Customer Acquisition Bonus (CAB) through 3 Generations, 7 levels of Unilevel Organization Commissions, Check Match through 3 Generations, Growth Bonus. Diamond Product Consultant: $80.00 Qualifying Business Volume (QBV) in previous 31 days, 18 Personally Enrolled active Wholesale Customers and/or Product Consultants, $18,000.00 Unilevel Organization Volume with no more than 50% coming from one leg. Qualified to earn Personal Sales Bonus (PSB), Customer Acquisition Bonus (CAB) through 3 Generations, 7 levels of Unilevel Organization Commissions, Check Match through 3 Generations, Growth Bonus, Car Bonus. Double Diamond Product Consultant: $80.00 Qualifying Business Volume (QBV) in previous 31 days, 24 Personally Enrolled active Wholesale Customers and/or Product Consultants, $30,000.00 Unilevel Organization Volume with no more than 50% coming from one leg. Qualified to earn Personal Sales Bonus (PSB), Customer Acquisition Bonus (CAB) through 3 Generations, 7 levels of Unilevel Organization Commissions, Check Match through 3 Generations, Growth Bonus, Car Bonus. Platinum Diamond Product Consultant: $80.00 Qualifying Business Volume (QBV) in previous 31 days, 30 Personally Enrolled active Wholesale Customers and/or Product Consultants, $60,000.00 Unilevel Organization Volume with no more than 50% coming from one leg. Qualified to earn Personal Sales Bonus (PSB), Customer Acquisition Bonus (CAB) through 3 Generations, 7 levels of Unilevel Organization Commissions, Check Match through 3 Generations, Growth Bonus, Car Bonus. 5. I understand how to qualify to earn the different bonuses and commissions. Can you explain how much each of them pay? Personal Sales Bonus (PSB): Earn 20%, paid daily, on all retail purchases made from your free website(s) and at live or virtual party events. There are no qualifiers or requirements to earn this bonus. There is no limit to the amount you can earn from this bonus. Customer Acquisition Bonus (CAB): Paid to active Product Consultantsand above on all Wholesale Customer and Product Consultant orders that are $219.00or less, up to 3 Generations deep. Share & Tell (SAT) bonus: Paid to active Product Consultantsand above with a $160.00or more of Qualifying Business Volume (QBV) on all Wholesale Customer and Product Consultant orders that are $220.00or more, up to 3 Generations deep. 6. How do I move personally enrolled Wholesale Customers and Product Consultants in my business? When you personally enroll a new Wholesale Customer or Product Consultant they are automatically placed on the first level of your business. You have the option to move them at any time until the end of the month, following the month they enrolled. For example, you enroll a new Wholesale Customer on January 5th. You would have until the last day of February to move/change their placement in your business. To move/change the placement of a personally enrolled log into your back office. Click on the Business Reports link found in the left navigation. Then click on the Personally Enrolled link. There you will see a list of all personally enrolled Wholesale Customers and Product Consultants. If they are still within the time frame that you are allowed to move them, on the far right of their name click on the link that says CHANGE PLACEMENT. A new window will open where you can enter the ID NUMBER of where you want them placed. 1. Do you offer websites for Product Consultants to use for selling products? Yes, all goDésana Product Consultants receive several websites, all free of cost, that can be used to sell goDésana products. This is for information about goDésana, our standards of quality, ingredients, and products. You can also access your resource center packed with hours and hours of live audio training with our exclusive purveyor and formulator Alexandria Brighton. From this site people can click on "shop now" found at the top right of the website and it will bring them to a shopping cart pre-programmed with all of your account information for easy commission tracking. This is a direct link to your shopping cart. When customers place an order from your retail shopping cart they will receive free shipping on every order and you will earn a 20% Personal Sales Bonus <(coming soon) on their entire order. This is a stand-alone website to sell and market the goDésana 21 Day Cleanse. This website is also pre-programmed with all of your account information for easy commission tracking. This is a stand-alone website to sell and market Alexandria Brighton's Oil fo the Month Club. This website is also pre-programmed with all of your account information for easy commission tracking. This is a stand-alone website to sell and market Alexandria Brighton's Spiritural collection of Essential Oil blends. This website is also pre-programmed with all of your account information for easy commission tracking. This is a stand-alone website to sell and market Alexandria Brighton's WholeBody System collection of Essential Oil blends. The WholeBody System collection is our best selling blends for assisting the body with pain. This website is also pre-programmed with all of your account information for easy commission tracking. This is a stand-alone website to sell and market Alexandria Brighton's Romance Ready collection of Essential Oil blends. This website is also pre-programmed with all of your account information for easy commission tracking. 2. What website do I use to login to my back office? To log into your own back office where you can place orders, track orders, manage optional Auto-Delivery, see your business organization and track your commissions, click on the word " Login " on the top left-hand side of your goDésana website. You will need the Username or your ID number and your password. If you don't know them, search your email including spam folder and you will have received a welcome email from goDésana the day you signed up. If you've forgotten your account password you can have it resent to you using the link below. You can also contact Customer Care Specialist at (614) 339-9128 for help with your account, ordering , setting up and or editing an optional Auto-Delivery. 1. How do I login to my goDésana back office? To login to your goDésana back office please visit www.goDesana.com. The login link is located in the upper left corner of your screen, just above the goDésana logo. 2. I already have a Wholesale Customer account with goDésana. How do I place another order? To ensure the correct amount of Member Rewards Program (MRP) points are earned on each order, Wholesale Customers and Product Consultants with an existing account should login to their goDésana back office to place additional orders. To place a manual order, once you are logged in to your back office, on the left-hand side click on the link titled Place an Order. To set up an Auto-Delivery order, once you are logged in to your back office, on the left-hand side click on the link titled Auto-Delivery. You can also call a goDésana Customer Care Specialist at 614.948.4409 during normal business hours and they will be happy to assist you with placing your order. 3. How do I move personally enrolled Wholesale Customers and Product Consultants in my business? When you personally enroll a new Wholesale Customer or Product Consultant, they are automatically placed on the first level of your business. You have the option to move them, at any time, until the end of the month following the month they enrolled. For example, you enroll a new Wholesale Customer on January 5th. You would have until the last day of February to move/change their placement in your business. To move/change the placement of a personally enrolled Wholesale Customer or Product Consultant, login to your back office. Click on the Business Reports link found on the left-hand side of your screen. Then click on the Personally Enrolled link. If a Wholesale Customer or Product Consultant is still within the timeframe during which you are allowed to move them, on the far right of their name click on the link titled "Change Placement". A new window will open and you can enter the ID number of the Wholesale Customer or Product Consultant beneath whom you want to place them. 4. How do I view the members in my organization? To view the Wholesale Customers and Product Consultants in your business you will need to login to your goDésana back office. Once you are logged in, click Business Reports link on the left-hand side of your screen. There are two types of business reports or genealogies you can view. The first one is Tree View. This report contains, by level, all of the Wholesale Customers and Product Consultant in your organization, through seven levels. This report will contain everyone you have personally enrolled and anyone who has also been personally enrolled by those that you have personally enrolled. It may also contain Wholesale Customers and Product Consultants who were enrolled by members of your upline. The second report you can view is the Organization Genealogy. This report will contain only Wholesale Customers and Product Consultants who are tied to you through personal enrollment. This is referred to as Generations. 5. How can I see when new Wholesale Customers and Product Consultants join my business? To view new Wholesale Customers and Product Consultants that have joined your business please log into your back office. Then click on Business Reports --> Tree View --> List View. You can then enter a date range to view new Wholesale Customers and Product Consultants that have joined your business during the selected time frame. From this area you can generate multiple reports that can assist you in growing and building your business. You can search and build reports on your organization by Enrollment Date Range, Show Affiliates that came off autoship in this date range due to 3 declines, by State, City, # of Levels, Rank, MRP Auto-Delivery, Status, and Product Order Since (mm/dd/yy). 6. How do I setup an auto-delivery order? To setup, an auto-delivery order login to your back office and then click on Auto-Delivery link found in the left side navigation. From there you can View/Edit your auto-delivery order, edit the method of payment, edit the ship to address, change your auto-delivery date, and cancel your auto-delivery account. 7. Do you need to have an auto-delivery setup to qualify to earn commissions? No, you do not. There is never an auto-delivery requirement. 8. Do I need an auto-delivery order on file to receive Member Rewards Program (MRP) points? No, you do not. However, auto-delivery orders receive an additional 5% in Member Rewards Program (MRP) points. 9. Where can I view my order history? To view your order history log into your back office then click on the order history link found in the left side navigation. 10. Where can I view my Member Rewards Program point balance? To view your Member Rewards Program point balance log into your back office then click on the MRP Shopping $$ Balance link found in the left side navigation. For more information on the Member Rewards Program (MRP) click on the FAQ Member Rewards Program (MRP) link found on the left side navigation. 11. Where can I view the commissions and bonuses that I have earned? To view the commissions and bonuses that you have earned log into your back office, then click on the Commissions/Bonuses link found on the left-hand navigation. Then click on Account Balance. 12. How do I withdraw the commissions and bonuses that I have earned? To withdraw the commissions and bonuses that you have earned log into your back office, then click on the Commissions/Bonuses link found on the left-hand navigation. Then choose the Withdraw Funds link. US Product Consultants can withdraw available funds as a check request or as an ADP direct deposit request. International Product Consultants can withdraw available funds as a Paylution direct deposit. There is a $2.50 processing fee per withdrawal. Check and Paylution withdrawal requests are processed the next business day. ADP Direct Deposit is processed bi-weekly. Requests should be completed by 10am est. on Thursday for a deposit on Friday morning. 13. How do I change the phone number and email address on my account? To change the phone number and email address on my account log into your back office, then click on the Account link found on the left-hand navigation. Then choose the Update My Personal Info. 14. How do I change the username on my account? To change the username on your account log into your back office, then click on the Website Info link found on the left-hand navigation. Then choose the Change Site Name. 15. How do I upload my picture so it can be displayed on my website? To change the username on your account log into your back office, then click on the Website Info link found on the left-hand navigation. Then choose the Upload Site Picture. 16. How can I view Corporate emails that I received but accidently deleted? To view Corporate emails that were previously emailed to you log into your back office, then click on the Training & Resources link found on the left-hand navigation. Then choose the Email Center link. There you can view all previously sent emails. 17. I missed last night's conference call. Is it recorded and posted where I can listen to it now? All conference calls are recorded and posted in your free resource center. To access your resource center log into your back office, then click on the Training & Resources link found on the left-hand navigation. Then choose the Resource Center link. Please join John Meatte, Director of Training, each Monday at 9pm EST. Dial 218.895.9285, and enter pin 640165#. John shares informative and motivational ways that you can 'get out of your own way' and achieve the life you want. On Wednesday nights, you can join our exclusive purveyor and formulator, Alexandria Brighton, for what promises to be the most extensive and knowledgable training available on herbs and Essential Oils. 9pm EST. Dial 218.895.9285, and enter pin 640165#. 2. I'm a brand new Product Consultant. What recorded calls would you recommend I listen to first? One of the first calls that you should listen to is the overview of how to build your income with SHARE. GO. LIVE. by Maraline Krey. It is quick, packed with info and it is the core of our duplicatable system of sharing and selling goDésana products.